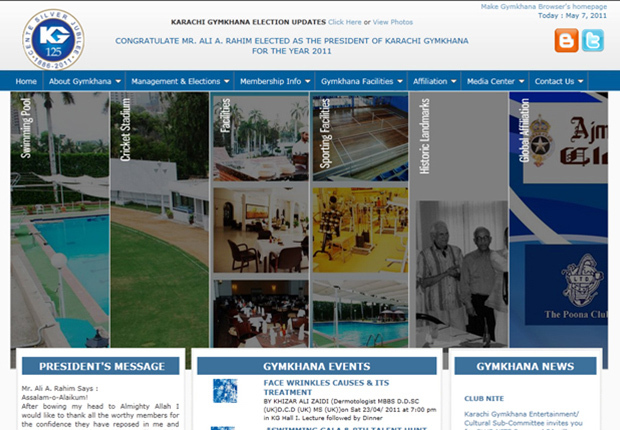 Karachi Gymkhana - miniMAX Solution (pvt) Ltd.
Karachi Gymkhana was established in 1886 for its members. Now enrolled over 10,000 members along with their families and friends, the Gymkhana membership in effect comes around 40,000 plus. Gymkhana never closed on any festivals or any gazette holidays rather such a colorful program are arranged. miniMAX Solution (Pvt. )Ltd is incorporate with Gymkhana from the last 2 years with full motivation and dedication. Online Payment through a payment gateway (Integrated with a direct link).